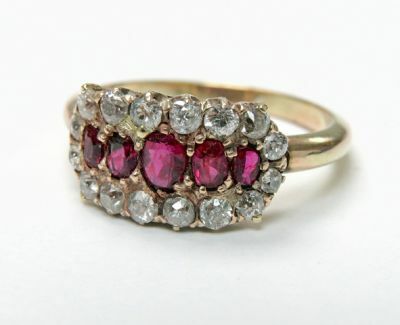 A beautiful Edwardian 14kt yellow gold ring with 5 oval facetted cut rubies, est. 0.65ct and 16 old European cut diamonds, est. 0.81ct (clarity SI-I1 & G-H-I).